(WashPost) -- A federal court on Thursday blocked a controversial new voter ID law in Texas, ruling that the state failed to show that the law would not harm the voting rights of minorities. The three-judge panel in the historic case said that evidence also showed that costs of obtaining a voter ID would fall most heavily on poor African Americans and Hispanics in Texas. Evidence submitted by Texas to prove that its law did not discriminate was “unpersuasive, invalid, or both,” wrote David. S. Tatel, a judge on the U.S. Court of Appeals for the District of Columbia, in the panel’s 56-page opinion. The ruling will likely have political implications in the coming elections. Republicans and Democrats have been arguing over whether increasingly tough voter ID laws discriminate against African Americans and Hispanics. Texas Attorney General Gregg Abbott said that the state will appeal Thursday’s ruling to the Supreme Court, which is the next stop in a voting rights case. 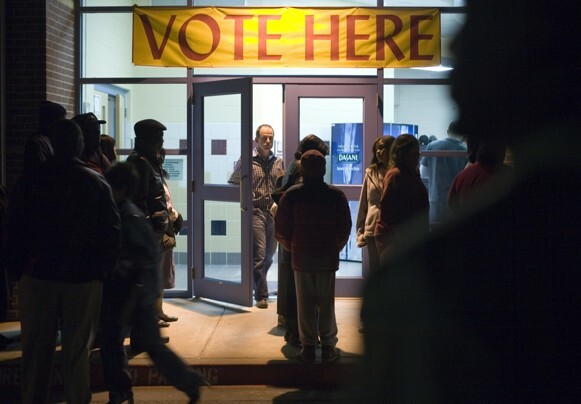 Texas is the largest state covered by Section 5 of the Voting Rights Act, which requires federal approval or “preclearance” of any voting changes in states that have a history of discrimination. Because of Texas’s discrimination history, the voter ID law signed last year by its Republican governor, Rick Perry, had to be cleared by the Justice Department. The department blocked the law in March, saying it would endanger minority voting rights. Texas sued the department, leading to a week-long trial in July.